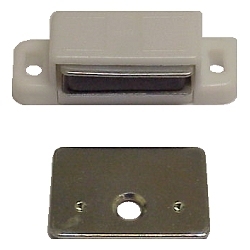 This magnetic catch for cabinet doors features a plastic case, lifetime magnet and is self aligning to the strike plate. Approx. pull force: 6 lbs.